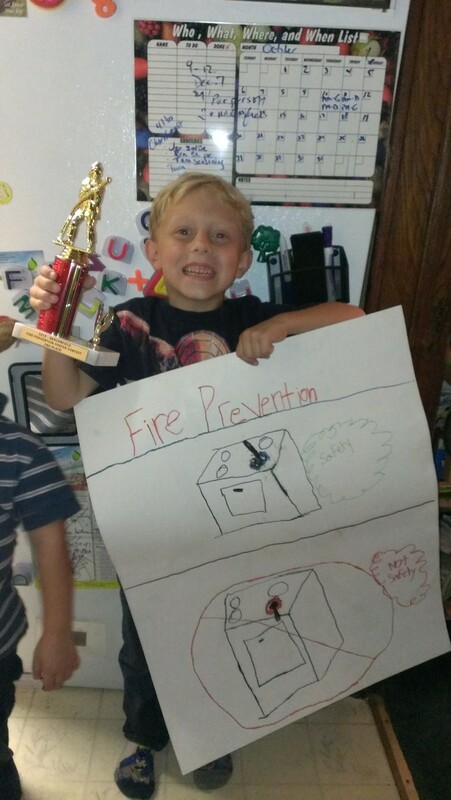 Gregg made this poster for the fire prevention contest at Washington elementary school. Theme was kitchen safety. He won 2nd place in the second grade category.